Yum! 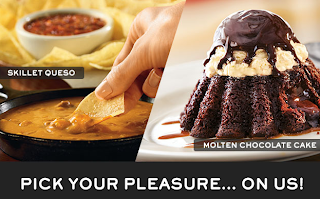 Chili's fans, its your lucky day. There's a NEW coupon making for an awesome FREEBIE! This FREEBIE makes for a tough decision as I LOVE both! that you must purchase an adult entree.